Imagine you could offer someone the chance to learn how to lift families out of poverty, advance social justice, improve educational opportunity, or prevent violence. SSA students are committed people who are rigorously preparing to make a difference in the world. We inspire students to shape solutions that will alleviate human suffering and uplift the lives of the most vulnerable—in the US and globally. Our graduates are innovators and problem solvers who become leaders confronting our most vexing societal problems. Your scholarship gift can help make an enduring difference. The students you support will provide compassionate and smart service, find evidence-based strategies, and discover new approaches that will enrich and improve the lives of individuals and communities for future generations. These students tell you how scholarship support has changed their professional and personal paths. "This scholarship has allowed me to pursue my ambitions in social work research and administrative practice. I feel well prepared and excited to advance my career in the social services." 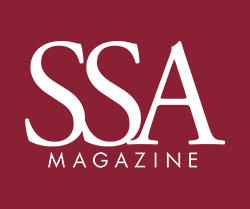 During her second year in the College at UChicago, Andrea Haidar heard about SSA's five year AB/AM program through some of her upperclass peers. Once she learned more about the program, she realized it would be an ideal way to combine her academic and career goals. "I felt ready to advance my understanding of social issues and take my direct service experience to the next level," says Haidar. "I chose SSA specifically because I knew the curriculum and field experience would allow me to explore both administrative and clinical aspects of social work practice." As a sociology major who also carried a heavy course load in Arabic, Haidar already had a number of direct service placements through the University Community Service Center and the Pozen Family Center for Human Rights as a counselor at the South Chicago Art Center, and as a coordinator for a program supporting Arab American youth in Dearborn, MI, home to the largest concentration of Arab Americans in the US. Having those experiences, Haidar says, sealed her commitment to a career in social services. Haidar concentrates her studies in social administration, and also is enrolled in the violence prevention program of study. Her coursework focuses on research and evaluation methods because she is convinced they can transform the impact of programs and client services, and make the biggest difference in the lives of individuals. She also serves as co-editor of Advocates' Forum, SSA's student-run social work journal. Through her second year field placement at Youth Guidance, Haidar works with the research and evaluation team to provide quality information about the agency's school-based programs for at-risk children. The team works continuously to promote evidence-based practice that will improve the quality of Chicago Public School youth programs, including the highly successful Becoming a Man mentoring initiative, which was evaluated by the UChicago Crime Lab, co-founded by Jens Ludwig, the McCormick Foundation Professor of Social Service Administration, Law and Public Policy and Harold Pollack, the Helen Ross Professor. Haidar serves specifically as an evaluation liaison for Youth Guidance's Project Prepare, a youth workforce development program. After only a few weeks of experience Haidar says, "I can tell that I will learn a great deal about data analysis, program development, and communicating research findings to diverse stakeholders." "Ultimately, I would like to direct my own research projects in the fields of youth violence prevention and international social welfare," she says. "My scholarship has enabled me to fulfill my aspiration of integrating my multidisciplinary background to (hopefully) help young children and their families through meaningful policies and programs. Your gift has made a big impact on my life, and I truly appreciate it." Rose Gallagher had been a partner in a large law firm, handling complex public finance transactional matters for public and private sector clients, before she decided to pursue a degree from the University of Chicago School of Social Service Administration (SSA). To some, such a career switch might seem improbable, but for Gallagher it was a natural progression. It was her work as a volunteer with Chicago Volunteer Legal Services (CVLS) that sparked Gallagher's interest in social services. The experience, she recalls, was transformative. Working with CVLS, Gallagher provided pro bono legal services as a guardian ad litem for children. Using her legal skills, she advocated for the child's best interests, navigating the complexities of the legal system to produce the best outcomes for the child and the entire family support system. Doing this pro bono work was very rewarding, but Gallagher wanted to do more for families—beyond providing legal counsel. "I began to see the value and importance of family support—including preventive and community-oriented services for families. I also realized that my own knowledge and experience was limited. I needed to broaden my understanding to better assist families." Choosing SSA to develop a deeper skill set, says Gallagher, was an excellent choice. "My course work, professors, and classmates have given me a new perspective. And I feel intellectually stimulated and challenged every day," she says. As she pursues a concentration in social administration, Gallagher has gained a new perspective about policymaking, including the importance of using research evidence to inform practice and policymaking to best advance social well-being. Now in her second year field placement at the Ounce of Prevention Fund, Gallagher works with the Ounce's Illinois Policy Team which advances policies and practices that prepare children for success in school and beyond. So far, Gallagher has analyzed federal, state, and local public policies, programs, and legislative issues that impact young children and their families in the areas of early childhood, family support, early intervention, health, and social-emotional development. Thanks to her legal writing skills, she's also had the chance to research, write, and develop executive summaries, advocacy alerts, data analysis, fact sheets, and policy briefs. "I'm enhancing my experience and understanding of relevant issues, working with a leading organization, and using my multidisciplinary background to analyze and address issues. So, these are all meaningful steps toward my future career goals," she says. "Without scholarship support, I would not be able to attend the University of Chicago. I promise, one day, to be in a position so I can help more students fulfill their dreams." After spending most of his lifetime on the West Coast, Kyle Bullock packed his belongings to move from California to Chicago—specifically to attend the University of Chicago School of Social Service Administration (SSA). The cross country journey was the next step in his search for a new career. Bullock already had a B.A. in anthropology (with minors in music and geography), along with a Single Subject California Teaching Credential in Social Sciences from California State University Long Beach. But motivated to pursue a career in social service and inspired by the words of his father, who counseled him as a young child: "Do something that you love to do, Kyle. That is the most important thing in life"—Bullock sent in his application to SSA. Also attracting Bullock to SSA were the reputation and academic rigor of the University of Chicago. The prospect—and challenge—of pushing himself academically at a top university was especially exciting. "Since I was a teenager, I dreamed of attending an elite university, but never had the means to do so," Bullock says. Then, "SSA gave me the biggest scholarship of any social work program. I thought, 'I would be a fool to turn this down.'" As a clinical student, Bullock is taking advantage of SSA's flexible curriculum, opting for a range of classes in child and adolescent mental health. At his current field placement in the inpatient unit of the Department of Child and Adolescent Psychiatry at the Ann and Robert H. Lurie Children’s Hospital of Chicago, Bullock integrates his interests and classroom learning with hands-on training and real-world problem solving. He has had many opportunities to learn how to support children, adolescents, and their families through a mental health crisis. When Bullock arrived at SSA, he already had three years of experience working for an LGBTQ community center. His work at the center made him realize that the "people I respected most were social workers, and they greatly influenced my decision to come to SSA. I was attracted to their client centered approach and their orientation to person-in-environment," he explains. In fact, one social worker who inspired Bullock was Francine Togneri, AM '85, current Director of Behavioral Health Services at ChildNet Youth and Family Services in Long Beach, CA. After graduation, Bullock hopes his advanced SSA training will put him on a new career path working with children and adolescents, possibly in the mental health field. Chicago native Patrise Washington was working full time as a case manager, performing as a spoken word artist at churches and special events, and raising a young daughter as a single mother when she decided to go back to school. Given all her responsibilities, returning to the classroom was a tough decision, but Washington enrolled in SSA for a number of reasons. Patrise heard about SSA from the chair of Social Work at Northeastern Illinois University (NEIU), Jade Stanley. Professor Stanley along with Frank Gayton, a professor at NEIU, encouraged her to apply despite her feelings of not "being good enough." Strange as it may sound, fear was a big reason to apply. "I chose SSA because I was most afraid of it," says Patrise. "While there were many people who believed in me, there were also many people telling me it would be too hard. The more afraid I became, the more I knew I had to apply and attend if accepted." Also swaying her decision were the "astounding" backgrounds and educational credentials of the faculty. Patrise felt confident she would learn new skills that she could readily take back and apply in her community and workplace as she could create her own elective program focusing on mental health. With a BSW degree from NEIU, Patrise was an ideal candidate for SSA's 15-month Accelerated Program (now the Advanced Standing Program). The program is designed for exceptional students who have graduated from an accredited baccalaureate social work program within five years of their application. Patrise met that requirement, plus she already had practical career experience working as a case manager at Deborah's Place, Chicago's largest provider of supportive housing for single women experiencing homelessness. At Deborah's Place, Patrise explains her work as a "creating your life counselor, where I provide counseling services using Acceptance and Commitment Therapy approaches. My clients are women who have experienced or are experiencing chronic homelessness and have been diagnosed with mental and/or physical disabilities." She adds, "Many women from this population do not feel that they have a safe place to process experiences they're having and I am able to provide that space for them." Affording school was another challenge, but due to generous donors, SSA was able to help Patrise. "I have to work a full-time job while in school along with my internship at Deborah's Place. Receiving the Yuji Suzuki Scholarship has helped lighten the load. This scholarship gives me more time to focus on studying and less time stressing over how to afford graduate school." At SSA, Washington is pursuing a Clinical Practice concentration, specializing in mental health. "I have really enjoyed learning about Dialectical Behavior Therapy and Acceptance and Commitment Therapy with (lecturer) Paul Holmes at SSA. Classes with Paul have created a space for me to really explore the type of therapist I want to become." Washington originally had started a field placement at Advocate Illinois Masonic Medical Center, which put her on the frontlines in the ER where she worked as a crisis worker/Behavioral Health Trainee conducting behavioral assessments and bedside interventions. Patrise worked closely with licensed social workers, counselors, physicians, and psychiatrists to develop customized plans to stabilize patients. In harsh and rapidly changing circumstances, Patrise dealt directly with acutely psychotic patients, using all of her interviewing skills and training to assess situations quickly, petition appropriate hospital resources, and describe patients accurately, in clinical terms, so they could receive the best care. After working a few weeks of 12 hour shifts, she reached out for assistance from her field instructor and SSA's Field Education office and was able to switch her placement from Advocate to her place of work at Deborah's Place. Her experiences in the field have personal resonance. "I have seen my community, as well as family members, struggle with mental illness," she says. "Resources in my community often are scarce. I want to have a direct role in strengthening my community by educating and supporting those who have been diagnosed with mental illness." After graduating, Washington plans to move upward to a leadership position in Deborah's Place while preparing for the LCSW exam. Washington adds, "Being a great role model for my daughter is very important to me. When June comes and my three-year old daughter is watching me walk across the stage, I'll smile thinking about the people that have helped me get here." The demand for professionally trained social workers has never been more urgent. We must recruit the most talented and committed students to prepare them for lifelong careers of service. At the same time, students face sobering financial realities that threaten the pipeline of future social work talent. Though our graduates secure prime positions after graduating, their starting salaries average a modest $40,000 per year, and most shoulder significant debt by the time they graduate. Faced with this financial outlook, many of the smartest and most committed individuals choose to study elsewhere. Some choose different career paths altogether, rather than service to those in need. Scholarship support can remove these barriers. Your support will allow us to offer competitive scholarships to students who will make an enduring impact in the world. 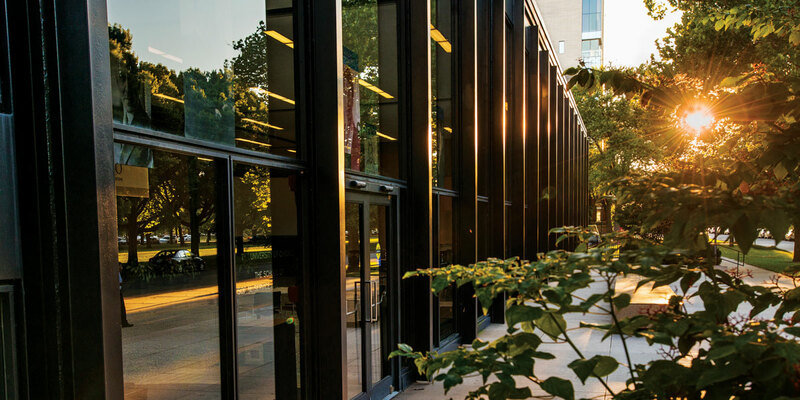 For more information, please contact Mari Philipsborn, Associate Dean of Development, The University of Chicago, School of Social Service Administration, 969 East 60th Street, Chicago, IL 60637, 773.702.1146, mphilipsborn@uchicago.edu.